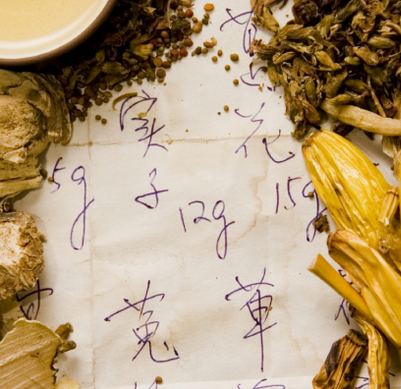 Chinese Herbal Medicine can be a very useful addition to Western medicine. The use of plant leaves, bark, flowers, roots, berries, or seeds for medicinal purposes is a practice that has been going on for centuries in many cultures, especially China and India. Many of these herbal remedies have been used as a basis for modern pharmaceutical products. However, the overall cost of traditional pharmaceuticals continues to rise, and many people are increasingly dissatisfied with the side effects of these products. As a result, the interest in herbal remedies has skyrocketed. Dr. Carley believes that herbal medicine can greatly benefit a pet’s health and well-being when used properly. He can customize a treatment plan for your pet that combines both Eastern and Western medicines in a way that works best for both you and your pet. He received his training and certification in herbology in 2002 from the International Acupuncture Institute and has been utilizing herbal medicine in his treatment plans ever since. There is not an herbal formula that is ideal for treating every illness, and often herbs are used in conjunction with other treatment modalities, such as physical therapy, acupuncture, or chemotherapy. If you are interested in exploring the benefits of herbal medicines for your pet, please give us a call. We can schedule an appointment to discuss herbal medicine or a combination of treatments best suited for your pet. Some of the more common questions about herbal medicine are listed below. I would like to consider herbal medicines for my pet. Where should I start? You should start by scheduling a consult with Dr. Carley. This appointment lasts for between a half hour and an hour depending on the circumstances and includes gathering a very thorough and specific history about your pet and its health conditions. This time may also be used to answer any questions you have about herbal medicines and their benefits for your pet. Where do your herbal formulas come from? The herbal formulas used at Hunters Glen Veterinary Hospital originate from either India or China. To ensure that the ingredients are consistent and high quality, all herbs are purchased through trusted companies that meet the State of California requirements for import. These requirements are stricter than the USDA and ensure that the herbs are free of pesticides, heavy metals, prescription medications, or any other contaminants. What form or type of these herbal medicines do you use? Herbs are available in many different forms, including teas, tinctures, tablets, and freeze dried extracts. We choose to order our medicines in the form of freeze dried extracts because these allow for easier administration and can be fully customized to each pet. They are more potent and allow for smaller amounts to be used. These extracts can be easily mixed in to a normal meal or placed inside a capsule for administration. Is herbal medicine for dogs and cats? Both dogs and cats can benefit from herbal medicine. Understandably, it can be more difficult to give oral medications to cats due to taste aversion or intolerance of pilling, but we have been able to find solutions that have worked for our clients and their feline friends. Dogs of all sizes can benefit from herbal medicine, and they are generally willing and happy to take our products along with a tasty treat. What conditions can be treated with herbal medicines? There are many conditions that can utilize herbal medicines in combination with other treatments, such as Western medicines, surgery, or acupuncture. There are times when herbal medicine alone is used as treatment for a condition, but it is often combined with other modalities. It can even be used to decrease side effects from Western pharmaceuticals when they are the best treatment option for an animal’s condition. Dr. Carley takes every pet’s condition, history, and response to any other medications into account when developing a plan for treatment that includes herbal medicines and/or acupuncture. Your pet’s treatment will be made specifically for them. The list is simply a baseline. If you are in doubt, give us a call at (918) 770-9255 and we would be happy to discuss options for your pet.